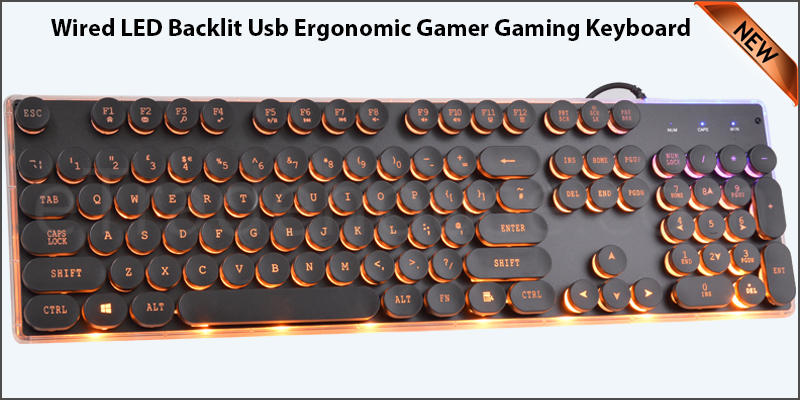 19 Keys Without Conflict: Whether you work or play, you can experience a ghostly respond, high efficiency, game pleasure, and Unique S-Shaped ergonomic design, effectively reduce fatigue to increase comfort. Suspension Keycap: Make it more convenient to operate and clean with advanced space, and with Ultra-Wearable Laser Character, even at night to experience the game is quite suitable. In addition, also designed multimedia shortcuts, as shown in the picture. Compatibility: System Support: Windows 10/Windows 7/ Windows 8/ Vista/ XP; Used with Desktop Computer or Laptop. Material ABS: Resin Double Color Key Caps feels comfortable, uniform light transmission, not easy to fade, not easy to scratch, so that each key cap can stand up to temper. Metal Panel: The metal panel matches the cool breathing lamp. It can switch at random according to FN+HOME and experience the lighting effect.